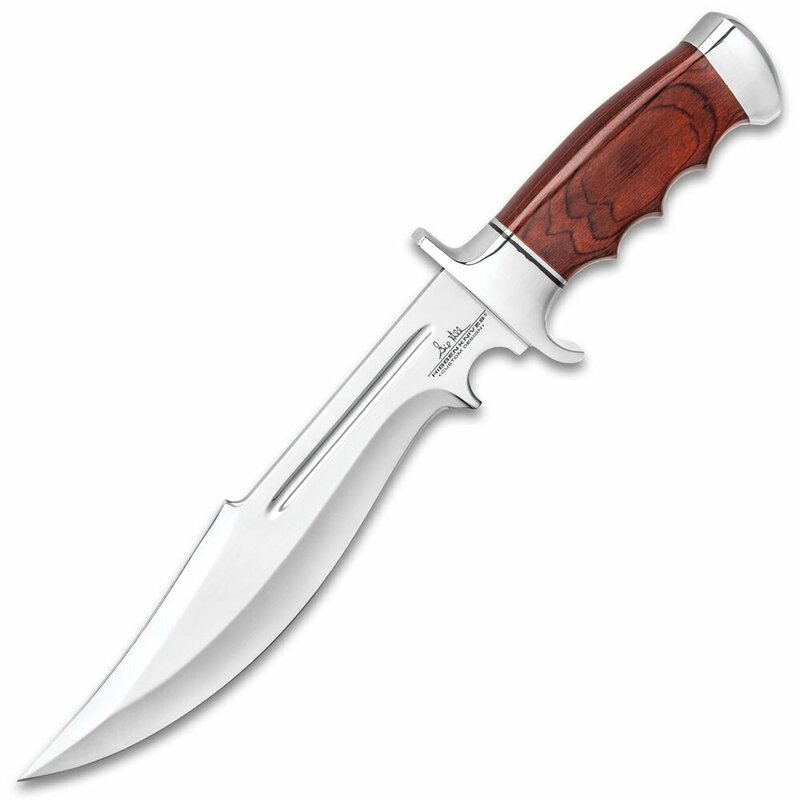 Gil Hibben Legionnaire Bowie Knife II(GH5068) Gil Hibben knives, collectible knives, throwing knives, hunting knives. Gil Hibben has a history of designing knives for Sylvester Stallone to feature in his films, going back to the Rambo III Bowie. The custom-designed bowie, the Legionnaire, is one of his exceptional movie knives and, now, he releases a second version. A rich dark brown pakkawood handle complements the mirror-polished finish of the guard and pommel. The bowie knife has a keenly sharp, 9 1/2" 7Cr17 stainless steel blade, also, with a mirror-polished finish. A premium leather belt sheath protects the blade and provides a comfortable option of carry.